Donate Now to help the Rapid Response volunteers in Shaarei Tikva keep the community safe! Shaarei Tikva is no stranger to terror. In 2012, Lior Farchi the head of their security team was discreetly investigating a terrorist smuggling route, gathering evidence to be turned over to the IDF. While he was on the side of the road taking pictures, he saw two IDF soldiers on patrol coming to check out a suspicious vehicle. Instead of stopping when the soldiers asked him to pull over, the suspect aimed his car straight at the soldiers to run them down. When Lior saw what was happening he didn’t hesitate to intervene, jumping into the middle of the road to help the IDF soldiers stop the car. Tragically, the terrorist drove the car right into Lior, killing him on the spot. Lior’s actions that day saved the lives of the two soldiers, but it cost him his own life. 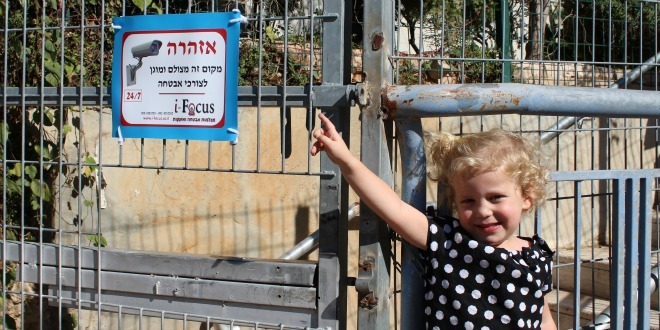 Keep babies in Shaarei Tikva safe! While the community continues to mourn the loss of their security chief and dear friend, they know that if he were still alive he would discourage them from letting one act of hatred stop them from following their God-given purpose. He would encourage them to build another house, hold their babies close, and tell their loved ones that they love them. The people of Shaarei Tikva are determined to honor Lior’s memory with life, rather than dwell on his senseless murder or fill their hearts with hatred. They want to live lives that honor all the good things Lior accomplished during his short lifetime. Lior was passionate about protecting the people of Shaarei Tikva and the community is eager to honor his memory by continuing his legacy. But doing the job right requires upgrading the equipment and technology currently available to the community. In the Shaarei Tikva area, cell phone service is unreliable at best, and often non-existent. Having emergency personnel, rapid response volunteers, and security patrols in direct communication with the head of security is vital to the protection of a community. High-tech powerful walkie-talkies that are not dependent on an unreliable cellular network are vital during a crisis situation. Whether they are responding to a house fire, or car accident, or a terrorist attack, being able to communicate is crucial to saving lives. That is why they are asking for your help to purchase these walkie-talkies. Surveillance cameras are also vital pieces of equipment for preventing terrorist attacks. Having the watchful eye of a camera always on the perimeter of a community alerts security personnel to a terrorist trying to infiltrate the community. The potential murderer can be seen and caught quickly, preventing tragic loss of life. Given the rugged terrain that surrounds Shaarei Tikva, having a camera in place ensures that large areas are under constant surveillance. Living in Colorado, in the center of a very peaceful mountainous area of the United States, I can only imagine the threats that the people of Samaria feel each day. If the magnificent mountains that I see from my window were harboring terrorists, I don’t know if I would ever sleep, knowing how close danger is to my family. Imagine living in that sort of reality every day. And then imagine how much better you would feel if you knew your community were protected by cameras. 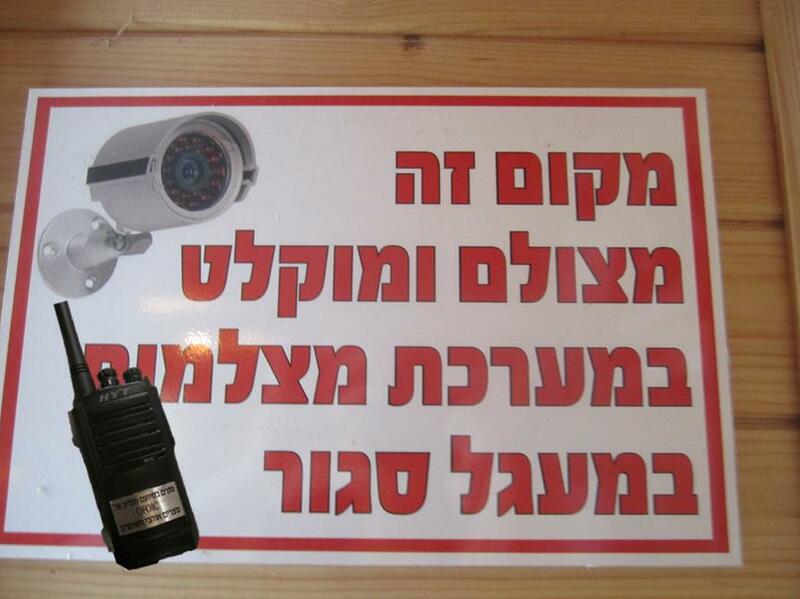 I am turning to you and asking you for your help to purchase additional cameras and communication equipment for the community of Shaarei Tikva. You can take part in building the land of Israel by protecting Jewish lives in the Biblical Heartland. Your donation today will truly make a difference and may well save lives!